Chinese officials were suspended for being lazy while attending an anti-lazy training conference. The high-level officials were participants in a conference designed to promote better work efficiency and discipline. However, they were caught reading newspapers and sleeping during the event and have now been suspended. MSNBC reported that Chinese officials frequently have to sit through long-winded, boring meetings on dry subjects. Nonetheless, the Chinese one-party government has become highly sensitive to public opinion and stereotypes of lazy officials abound in China. An experiment gone awry from the television show Mythbusters saw a cannonball accidentally damaging a house and a parked car. Fortunately, no one was hurt during the accident when the cannonball unexpectedly bounced off a safety barrier designed to prevent it travelling outside the bounds of the test facility. 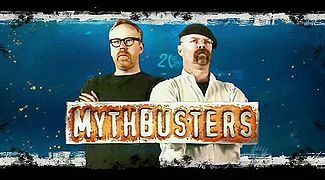 Mythbusters is the highly popular series on Discovery that finds out if certain myths are true or not. Sometimes these urban myths involve explosives. A remarkable event in human history is on the verge of occurring as the Voyager spacecraft is about to leave the Solar System. 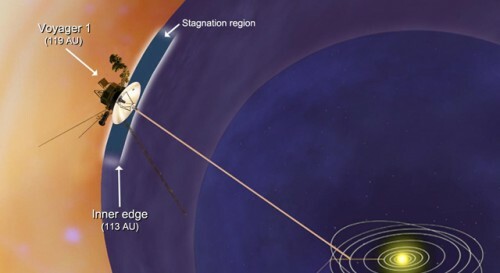 Voyager 1 which is 18 billion kilometres (11 billion miles) from the Sun is about to reach interstellar space where the effects of the Sun are greatly reduced and give way to the larger influence of the Milky Way’s great mass of stars. Right now Voyager is stuck in a section of the Solar system that is quite stagnant as the solar winds are non-existent. This indicates that forces outside the Solar System are pushing inwards causing the solar winds to stop.